My feeling is that it’s more than just a coincidence. Just as we are preparing for our early February seminars on ‘Politics and Youth Work’, news reaches us of a Frontier Youth Trust ‘Jesus and Politics’ learning day to be held in London on Thursday, January 30. It’s not too late to book a place. Indeed it would be fascinating if some folk make both the Frontier Youth Trust event and ours. The following is taken from FYT’s web site. We are delighted to announce an exciting opportunity to explore the subject of ‘Christian Youth Work: Jesus and Politics’ in the grand surroundings of the Houses of Parliament. This FREE event, is organised by FYT in partnership with Worth Unlimited and is sponsored by Christian MP, Gavin Shuker, will take place on 30 January 2014 –10.30 am to 3.30 pm. The aim of the day is to bring together Christian youth workers to consider the role politics has in their work with young people. 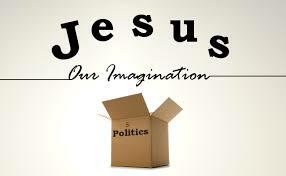 The day is not just for those interested in politics, nor a party-political event, but something for all youth workers keen to ensure their work fully reflects that modelled by Jesus in his ministry. Once you have booked a place, joining instructions will be sent to you asap. In addition Frontier Youth Trust is conducting a survey, Politics and Christian Youth Work – what do you think? FYT would like to know what Christian youth workers think about politics. What’s more, they would like to know from those who are NOT into politics as well as those who are. All of which is a reminder that quite a few of us in IDYW have talked off and on about organising an event ‘Faiths and Youth Work‘, which would bring together in dialogue workers from across the faiths and from across the political ideologies. It may well be timely to resurrect this idea. What do you think? Previous Betraying Today’s Teenagers : Who is to Blame? Well I do my best.